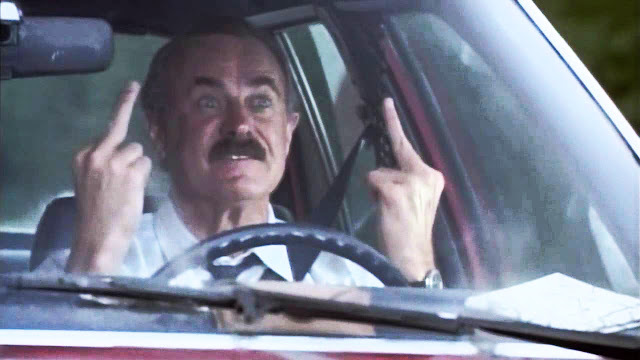 Dabney Coleman just doesn't get enough credit for being such a great actor. He steals the show in everything he comes out in, from Tootsie, to 9 to 5, to Cloak & Dagger (a personal favorite), and even Boardwalk Empire. Here, at the age of 58, and attempting to play someone in their late 40's, Dabney tried his first hand at action (if you don't count Cloak & Dagger) in this forgotten action comedy that delivers more than you expect in a big way. Released in 1990, Short Time tells the somewhat macabre story of a police officer, who at just 8 days away from retirement, mistakenly thinks he's dying of cancer and has days to live. So in order for his family to collect on his life insurance (to ensure his young son can go to college), he decides to try and get killed in the line of duty, the only way his family can actually collect on it. With a story like that, this film probably wouldn't get made today, but I'm also glad it was made in the late 80's/early 90's because it carries a very special flavor of action that you just don't see anymore. While marketed as more of a comedy (it is amusingly charming), it's the action that takes center stage as Det. Burt Simpson (Coleman) puts himself in harms way any chance he gets in a series of car chases and shootouts, only to find that trying to get killed in the line of duty isn't as easy as he thought. Director Gregg Champion (The Cowboy Way) handles the action sequences like a pro, shooting the film and the action in an evenhanded manner, much in the way someone like John Badham would. No frills, but highly effective when composing his shots and getting the maximum out of each sequence. And I have to admit, considering it's mostly trying to be a comedy, the action is pretty badass and damn impressive, most notably a crazy huge car chase sequence that would easily rival The French Connection and To Live and Die in L.A. respectively. The cast is pretty ace, with Dabney's ex-wife being played by Terri Garr, who also appeared in Tootsie, and Matt Frewer playing his partner. I like Frewer for the most part, but there are times when he comes across as trying too hard to be funny and goofy, and it's a bit painful. This is one of those times. Frewer would appear in another forgotten action classic the following year with The Taking of Beverly Hills. Joe Pantoliano, Barry Corbin and Xander Berkeley round out the cast. For his part Coleman is just awesome. I've always liked him, and here, seeing him thrusting himself head-on into dangerous situations that result in some pretty impressive action sequences was such a sight to see. While he typically plays unlikable characters, he comes across as both charming, tough and surprisingly effective as the action hero lead, who despite his best efforts to get himself killed, always turns out the hero. I honestly can't praise this film enough. 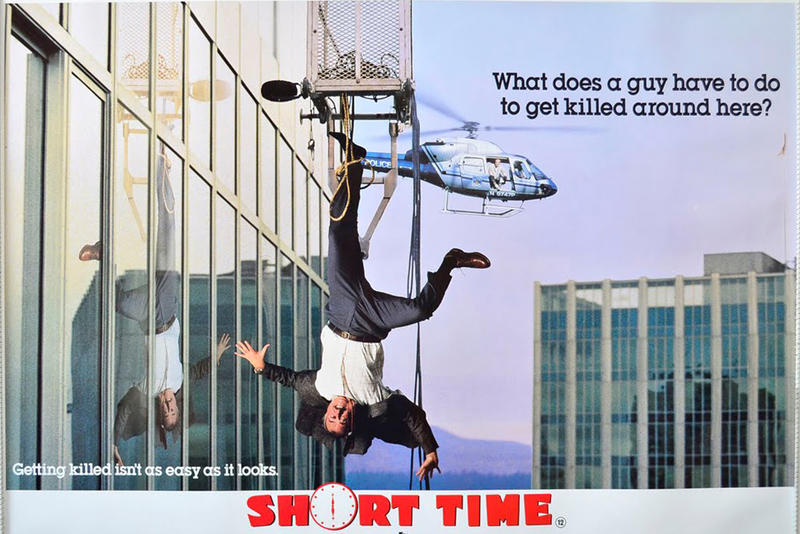 It was such a stark reminder of the type of action comedies that were actually really good once upon a time. The shot-on-film aesthetic and impressive camera setups (no handheld nonsense here) lend themselves to a visually pleasing experience full of action, heart and a tiny dose of laughs. It's a shame that to date, this has never gotten a release here in the U.S. other than on VHS. Not even on DVD, which just blows my mind. I hope a company out there like Kino or Shout! Factory snags the rights to this some day and gives it a legit release, and in widescreen, which would be a first for this film.